Oz Picture Preview - Bon Voyage! Take a sneak peek at what's coming up on Home and Away in the next few weeks in Australia. This week on Home and Away in the UK, Bella struggles with her negative impact on Colby’s life, Brody makes a bold declaration as Ziggy prepares for their future, Dean's sleepwalking forces him to do something drastic, and Martha panics when she can't contact Roo. Explore the real-life Summer Bay with a 4 hour guided tour - you may even be lucky enough to spot the cast! Our character profiles for current regular cast have been updated to the end of 2018, with newly completed profiles for Hunter & Olivia, and brand new profiles for Colby, Dean & Jasmine. Our Locations section has been completely revamped. 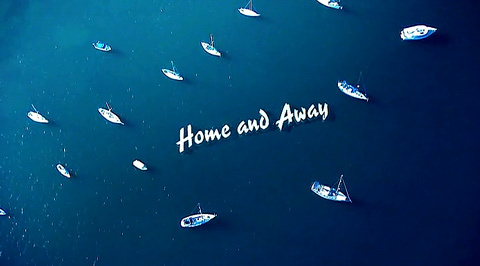 Discover the real life homes of over 100 Home and Away filming locations past and present, with facts, photos and maps. With over 20,000 members, the Home and Away Forum is the place to discuss storylines, chat about your favourite characters, write fan fiction and make new friends. Reminisce about stories and characters from years gone by, or discuss the Early Years episodes showing on 7TWO. Discuss the very latest episodes from both the UK and Australia. Hundreds of alternative Summer Bay universes await. Read how our members would tackle storylines, or write your own. If you can't wait to find out what's coming up, discuss all the latest rumours and speculation.